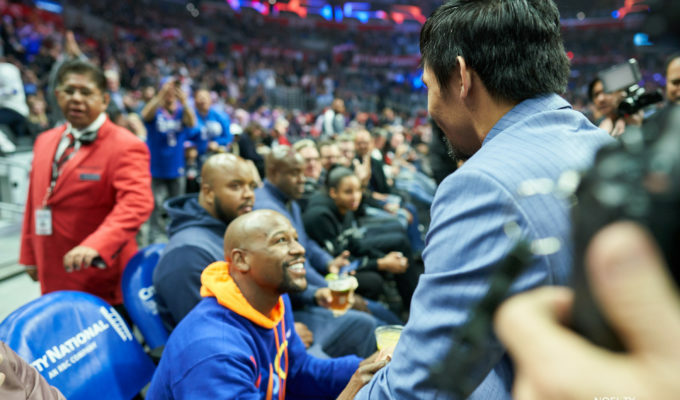 THE World Boxing Association (WBA) Welterweight reigning champion Manny Pacquiao returned home to the Philippines on Thursday, January 24 after his fight against American boxer Adrien Broner. 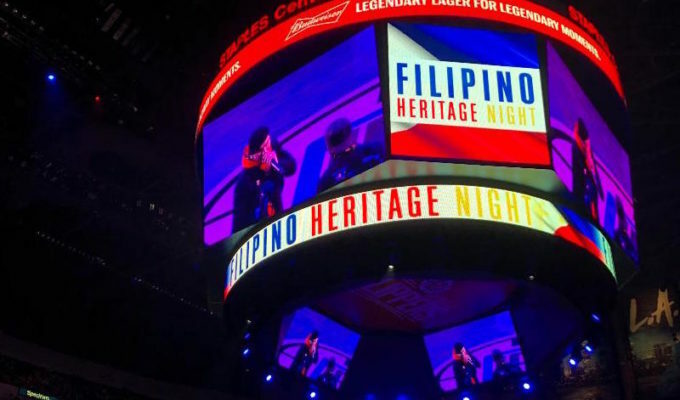 The Filipino boxer arrived in Manila on Thursday night and was welcomed by his supporters and fans at the Ninoy Aquino International Airport (NAIA) Terminal 1. 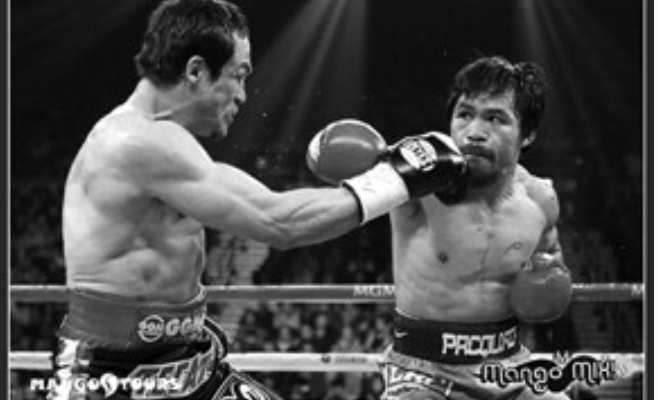 Pacquiao boarded a Philippine Airlines (PAL) flight from Los Angeles, California with his wife, Jinkee and son, Israel. 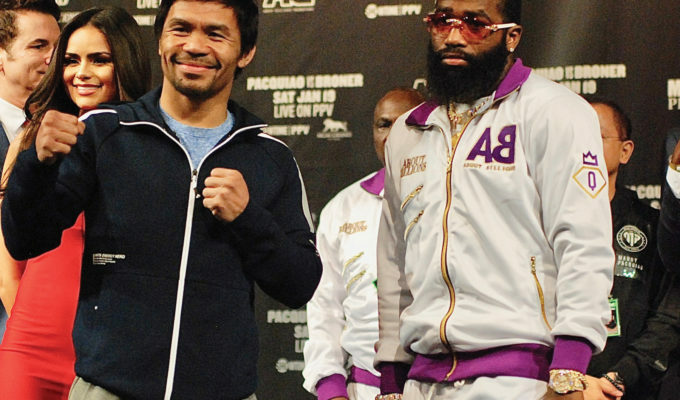 After sustaining an eye injury during his fight against Broner, the defending champion assured his Filipino supporters that it is nothing more than a retinal scratch. “Wala naman, it’s OK. Gasgas lang, bugbog lang (It’s nothing, it’s okay. Just a scratch. Just swelling). I’ve experienced it before on my other side. 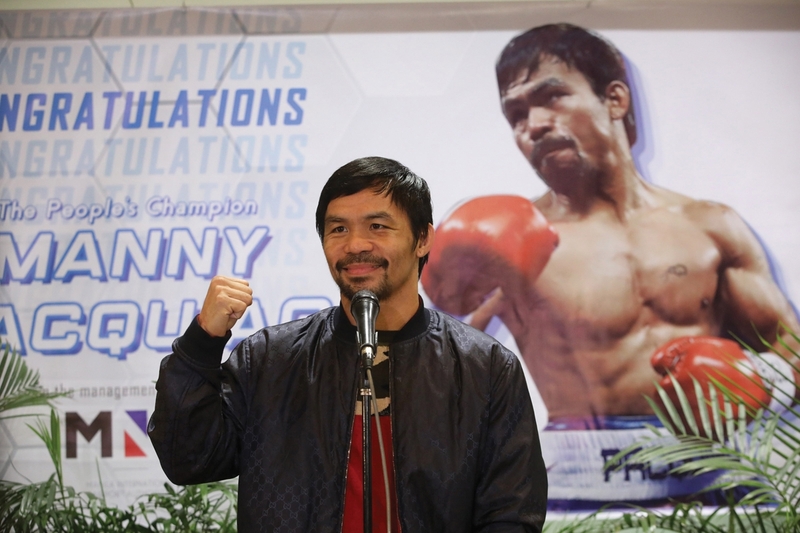 Nothing to worry about,” the Filipino champion assured. 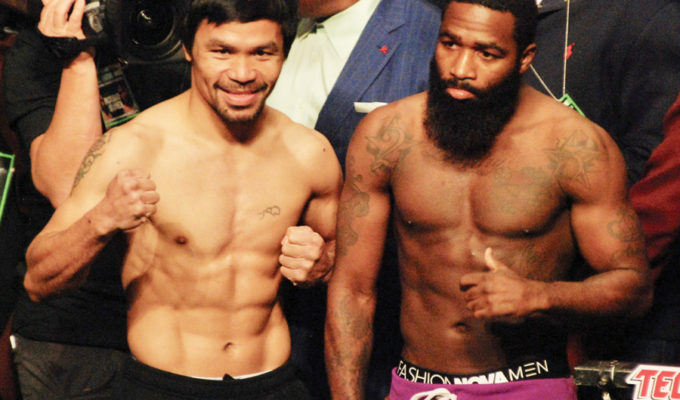 The prided boxer also ensured the public that nothing important was taken from his home in the Hancock Park neighborhood of Los Angeles when burglars broke in while everyone was out watching him in Las Vegas. “Walang nakawan, ilang gamit lang nawala, sapatos at ilang damit. 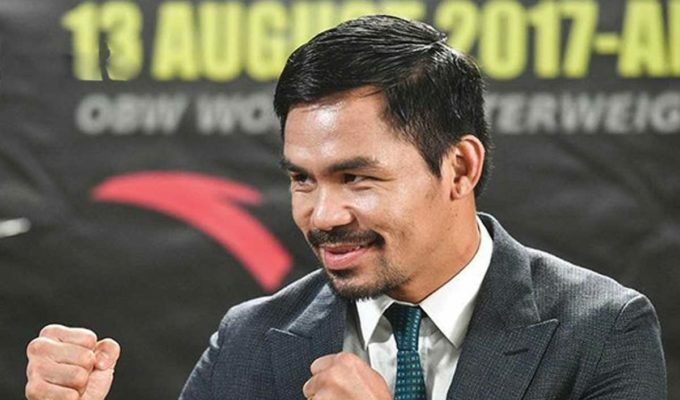 Mga hindi importante (The burglars found nothing except that they took some of our clothes and shoes which are not important), ” Pacquiao said as reported by The Manila Times. His relatives reported that several expensive shoes, clothes, laptops went missing after the said break-in. Lilia Lao, the boxer’s aunt, claimed that a small vault beside the dining room was taken. =The Los Angeles Police Department (LAPD) revealed that one of the four suspects was heavily covered with clothes as shown in the closed-circuit television (CCTV) cameras. 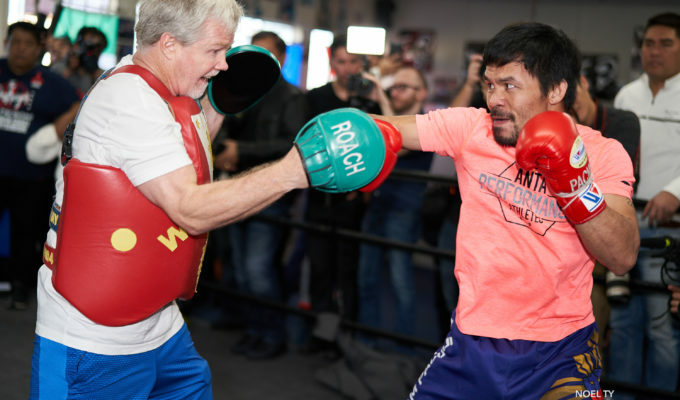 Pacquiao’s relatives suspected that it might be an inside job since one burglar seemed too careful and familiar with the location of the CCTV cameras. The initial investigation claimed that the burglars broke in at past 8 p.m. on Saturday. They returned to the mansion twice, again at12:27 a.m. The LAPD said that it was still in the early stages of the investigation. The department has collected fingerprints to be recorded in the database. 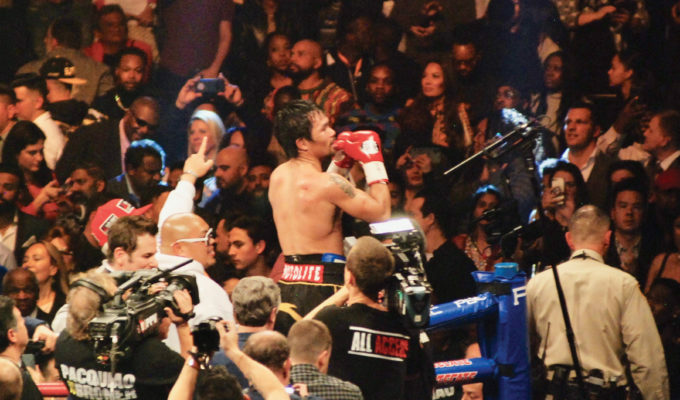 They also obtained CCTV footage from Pacquiao’s home and his neighbors. The suspects in the crime have yet to be identified.